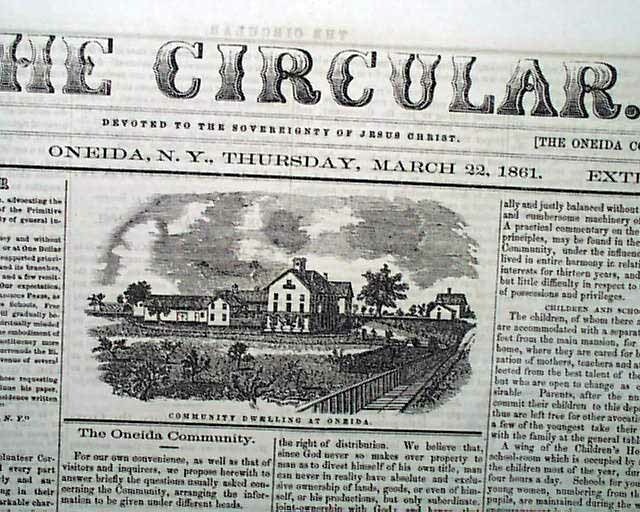 The front page features a very nice print of a "Community Dwelling at Oneida", plus most of the front page is taken up with explaining to the curious just what the Oneida Community is all about, including many subheads such as: "Religious Foundation & Principles" "Social Organization" "Rewards & Balances" "System of Labor" "Criticism" "Dress" "Health" "Politics" "Terms of Admission" "Secession" and even more, carrying over to page 2. 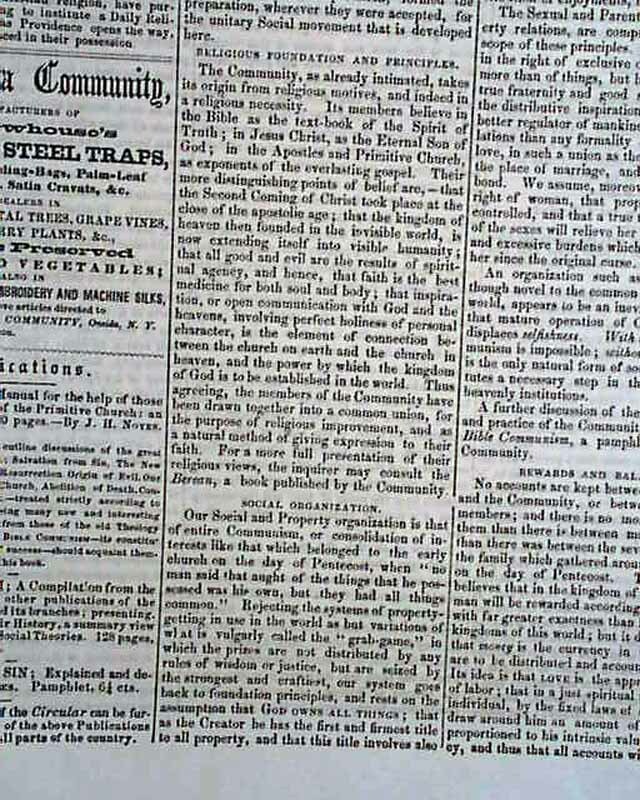 Other articles within include; "The People Before the Government" "Platform of Principles & Measures" "Democratic Theocracy" "Abolition of Death" "Spiritualism" "Industrial Marriage" "Second Coming of Christ" and more. This is the "Extra No. 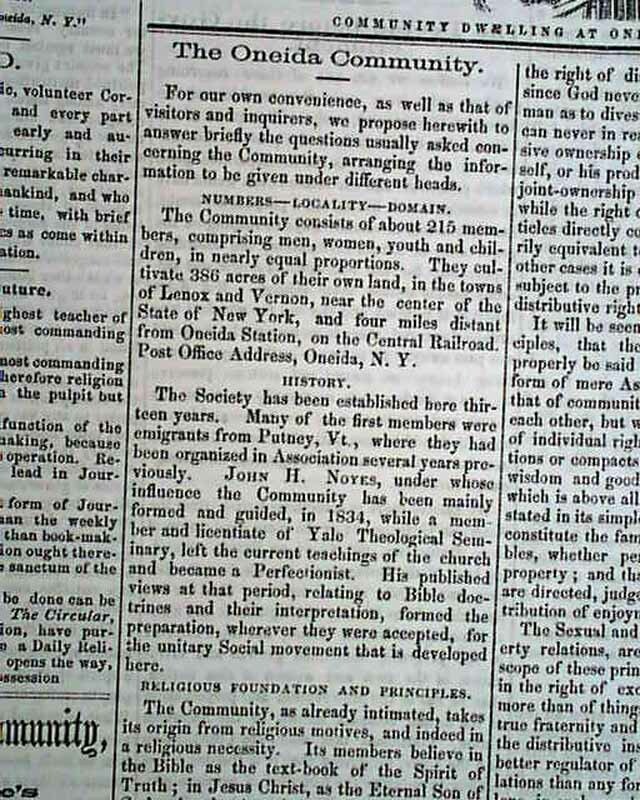 ", subtitled: "Devoted to The Sovereignty of Jesus Christ". 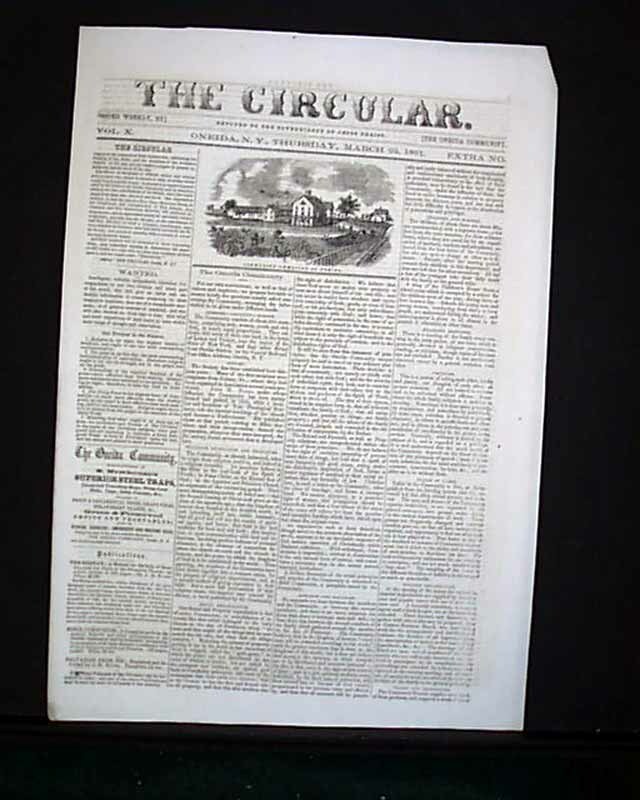 Four pages, great condition, never bound nor trimmed & measuring about 12 by 17 1/2 inches.